Pictured above: Rotarian Larry Bass (third from left) and fellow Rotarians visit a family’s home in Guatemala. 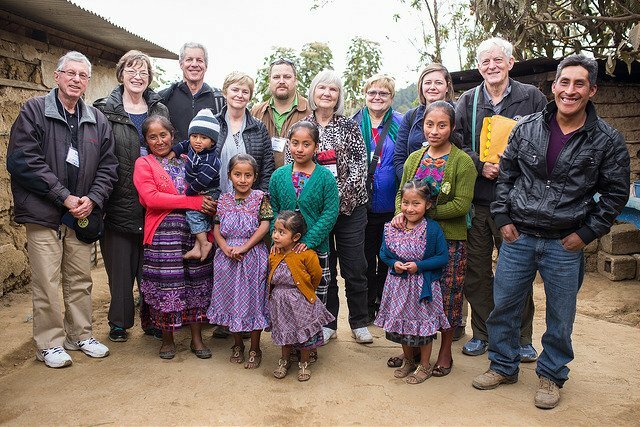 During our GLP Tour in February, 31 Rotarians travelled to Guatemala to deliver badly needed textbooks, inaugurate brand-new computer centers, and interact with the children and families served by the GLP! Nine of those Rotarians came from clubs in Colorado, and when they got back, they generously shared the story of their trip with a local newspaper in Summit County. This is a great way to spread the word about the GLP and help more Rotarians discover how they can support literacy in Guatemala. Thanks for spreading the word, Tanya, Larry, Mary Anne, and Stephanie!